I thought I’d have some fun for those readers who may want to test their knowledge of Canada, my home country and neighbor of the United States. I will leave this up for several days. Here are the rules/guidelines for participants. – leave your answers as a comment in order, i.e. 1 to 15. – tell me the country you are from. – use the honor system and try not to look up the answers. – I will try to provide nice token to the first three readers with the correct answers. – most of all the rule is to have fun. Here they are. There are no trick or ambiguous questions. !. When did Canada become independent? 2. How many provinces and Territories make up Canada? 3. Where does Canada rank in size by landmass area compared to other countries of the world? 4. What is the population of Canada? 5. What is the largest province by area? 6. What is the smallest province by area? 7. What city is the capital of Canada? 8. What is the largest city in Canada? 9. Name Canada’s two official languages. 11. 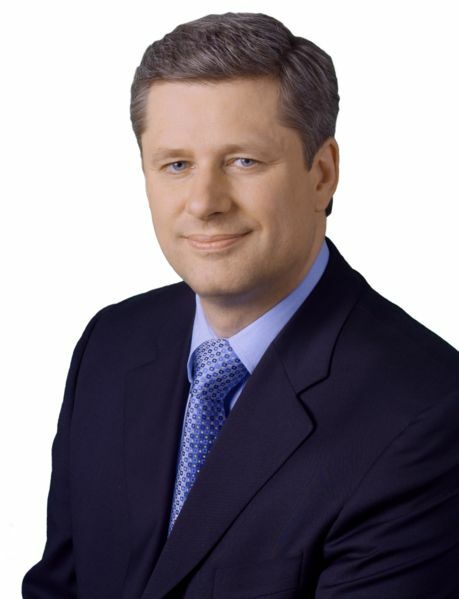 Name the two primary political parties in Canada? 12. What year was the transcontinental railway completed in Canada? 14. What is the name of Canada’s national anthem? 15. 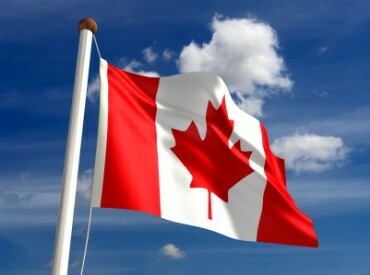 When was Canada’s red maple leaf flag adopted? I see the Republican party didn’t like Palin’s hockey mom image. Over the last few months they’ve spent more than $150,000 to make her over. Apparently the clothes (listed as “campaign accessories” in the Republican expenses) are to be donated to charity. No wonder Palin wanted to be the V-P candidate. Any person male or female would love to have a shopping spree like this one. Substance can’t be bought, so they bought appearance instead. 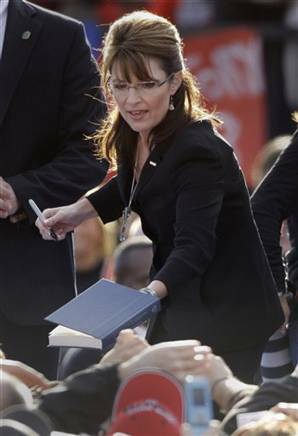 Fortunately after November 4, 2008, Palin can return to Alaska. I wager that a year from now she will just be a footnote in history. Palin’s selection as McCain’s running mate will go down as one of his biggest blunders. Not because she is a woman, but for lack of substance. Our family spent Thanksgiving Weekend in Golden, British Columbia at a family reunion. For my American readers, Canadian Thanksgiving is on the second Monday in October each year. That’s Columbus Day for you. Here it’s a statutory holiday and we get a long weekend. We took our motorhome and camped three nights in the campground. It was very cold, but sunny during the day. Thank goodness for the furnace in the RV. We only paid $25 CDN per night with electric and water to stay. Compare this to $100-$150 per night if we had stayed in a motel. Besides our kids love to camp. Most of the meals were associated with the reunion so we didn’t cook. 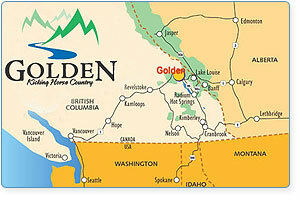 Golden is located on Highway 1, the Trans-Canada Highway, three hours west of Calgary, Alberta. It’s also the northern terminus of Highway 95 that runs from Canada down into the United States. This is one of the most historic routes in North America. For those interested in history, Golden was settled in 1882, but the area was first explored in 1807 by the famous cartographer David Thompson. Later surveyors for the railway came. Sir James Hector, a geologist with the railway surveyors, narrowly escaped death when he was kicked by a horse. Thus the name for the pass, Kicking Horse. 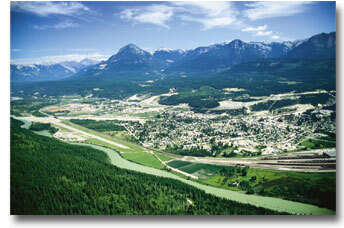 The town itself is on the mainline of the Canadian Pacific Railway. This was the first trans-continental railroad in Canada. The Kicking Horse Pass is the route followed through the Rocky Mountains by the railway and the highway. Wildlife abounds. On the drive home we saw Bighorn Sheep including some trophy size males. Then we saw an elk herd including the large dominent male. He had a large set of antlers and was closely guarding his harem of females. Up on Kicking Horse mountain at Golden there is a Grizzly bear refuge. There we got to see a 6 year old, 600 pound male named Boo. He was rescued as a cub and they hope to reintroduce him to the wild some day. Incredible creature. One of the other neat things we did was ride the gondola up to the highest restaurant in the Canadian Rockies where we had lunch. The day was crystal clear and we could see the Rockies forever in every direction. For those flatlanders who want to see what real mountains look like I highly recommend this place. It takes your breath away. The present population is 4,373 with another 3,155 living in the immediate area.There are two main industrial employers, CP Rail and Louisiana Pacific. Louisiana runs a timber related mill. I believe they produce composite board which is similar to plywood. There is an excellent ski hill and golf course which serve to attract tourists year-round. Most important of all Golden is where my wife was born and raised. You are currently browsing the WRITINGS & RAMBLINGS blog archives for October, 2008.